Ian’s raising money for The National Autistic Society. Feel free to donate by clicking on the logo. Thanks for your support. He felt like an average nine-to-five office worker, but with an overwhelming passion to ride his bike. In 2016 he embarked on a personal journey to discover his cycling potential. Two years later he achieved more than he’d ever thought possible. 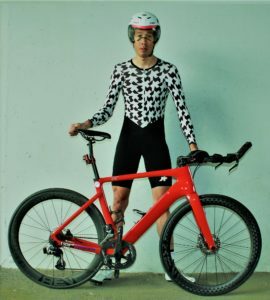 Triple champion of the Hard Cro Ultra Race, winner of another two European ultracycling races, also successfully completing the Transcontinental Race in 2017. Fitting all of this around a normal family life with more amazing challenges to conquer in 2019. On 19th April 2019 8:10 am went 113.69 mi. during 07:42:59 hours climbing 4,550.85 ft.
On 18th April 2019 3:58 pm went 35.17 mi. during 01:39:01 hours climbing 826.77 ft.
On 18th April 2019 11:04 am went 5.46 mi. during 00:24:13 hours climbing 127.95 ft.
On 18th April 2019 10:50 am went 2.58 mi. during 00:08:12 hours climbing 29.53 ft.
On 17th April 2019 10:57 am went 56.52 mi. during 02:41:27 hours climbing 3,064.30 ft.